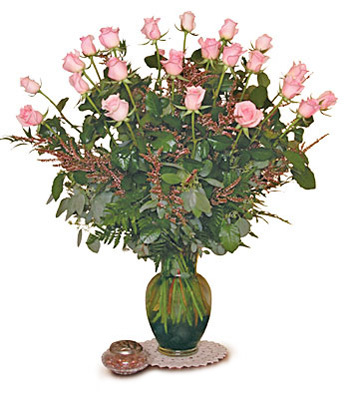 Twenty-four gorgeous long stem pink roses artfully arranged in a clear glass vase and ready to deliver to your loved one. Our most spectacular rose display. Available in other colors on request.